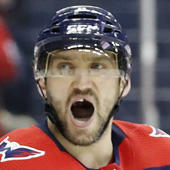 Ladd (lower body) won't play Thursday in Columbus, Andrew Gross of Newsday reports. Thursday is the second of a quick two game road trip for the Islanders and the team decided it was best to leave Ladd at home so he could continue to skate and get himself back into game shape. Ladd may not be the answer, but with the team currently in a goal scoring slump (20 goals in last 10 games), he certainly can't hurt their offense and deserves a chance to see if he can be an offensive spark.